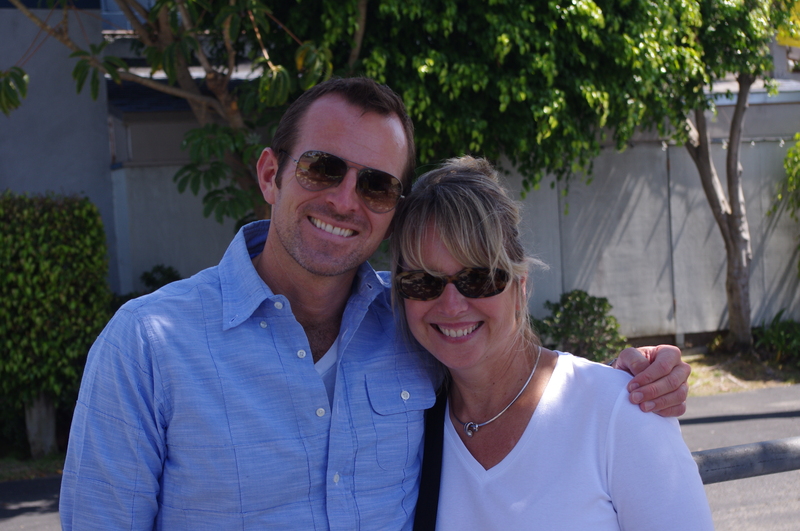 This past weekend we hosted my Sister and her husband for a quick 24 hours of fun in Los Angeles. They were on their way to Pebble Beach for meetings this week and we were able to enjoy a bit of time with them before they headed North. They arrived Saturday early afternoon from Michigan and our time together began at the infamous Chateau Marmont for a sophisticated lunch on the outdoor patio. This château style property is home to star visitors and all sorts of crazy happenings over the years. 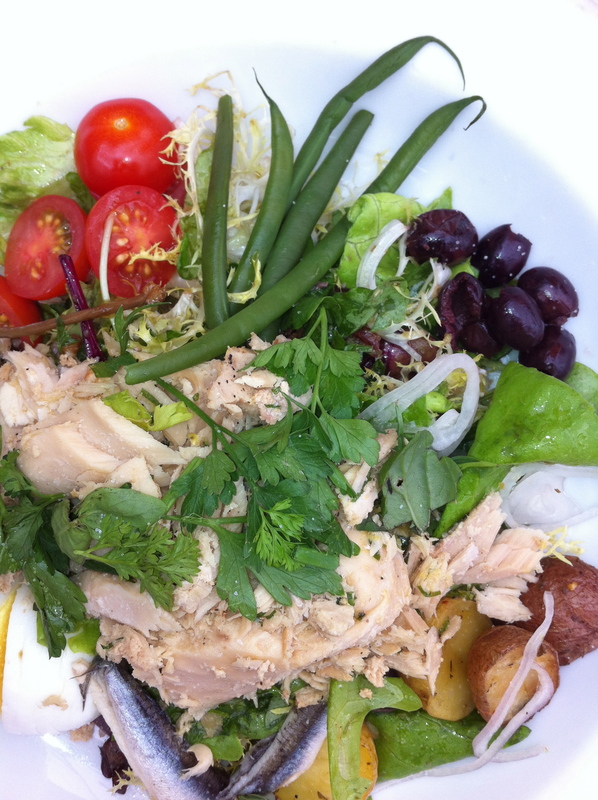 Unfortunately, the hotel has a policy against photography (I guess the stars wouldn’t come otherwise) but I was able to take a quick shot of my Salad Nicoise with my iPhone without getting escorted off the premises. We spent the afternoon poolside at their hotel, The Beverly Hilton. This is where MIss Whitney passed away earlier this year and is also where the Golden Globes are held in January. The hotel is well-appointed and centrally located in the heart of Beverly Hills. The poolside service includes cocktails from Trader Vic’s so we did enjoy a nice Mai Tai as we lounged and watched all of the people. My Sister and I reminisced about staying at the Chicago Hilton & Towers and visiting the Trader Vic’s in Chicago as kids. That evening we headed to Salt’s Cure for dinner. Located in West Hollywood this is sure to be a foodies outpost. 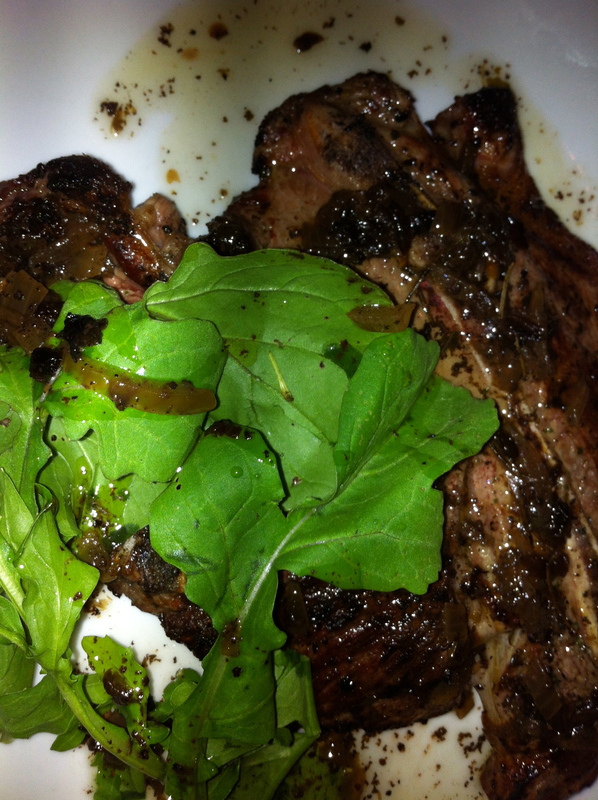 It has a no frills focus on farm to table food with California sourced ingredients and delicious meats. Not the place for you vegans and vegetarians. 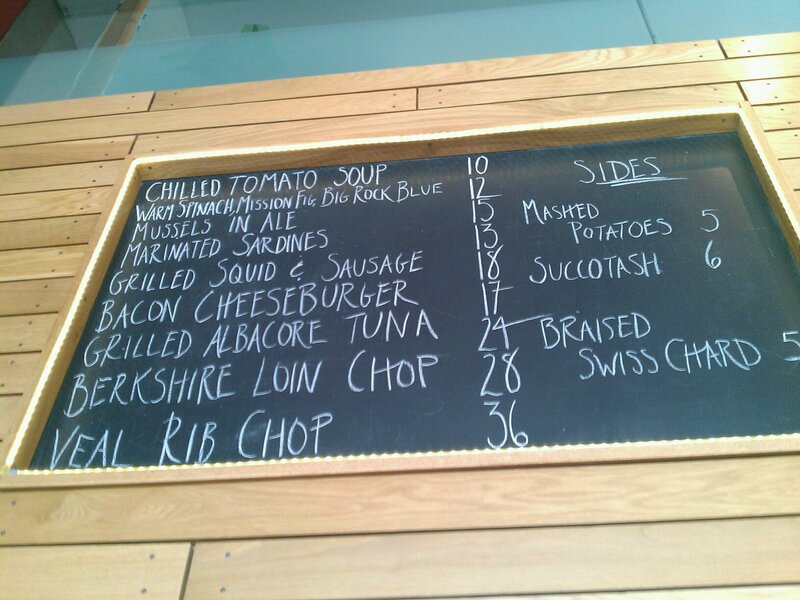 The restaurant posts a daily menu on their Facebook page so check it out before you head over. 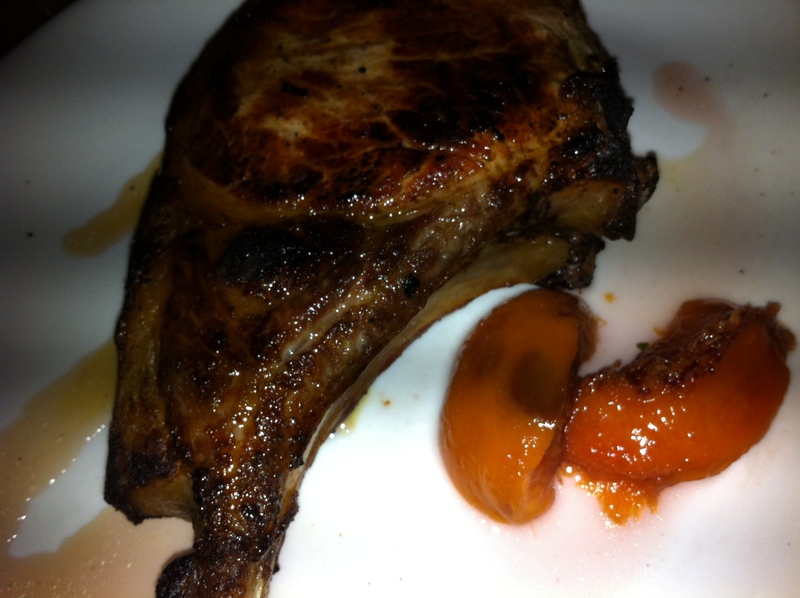 The lighting was dim but here are a few shots of the meat dishes that we were served. When they arrived we said, “seriously?” but we of course had little left on our plates just moments later. We finished the day with a delicious brioche bread pudding. Sunday morning we jumped in our cars (it is LA after all) and headed down to Venice. 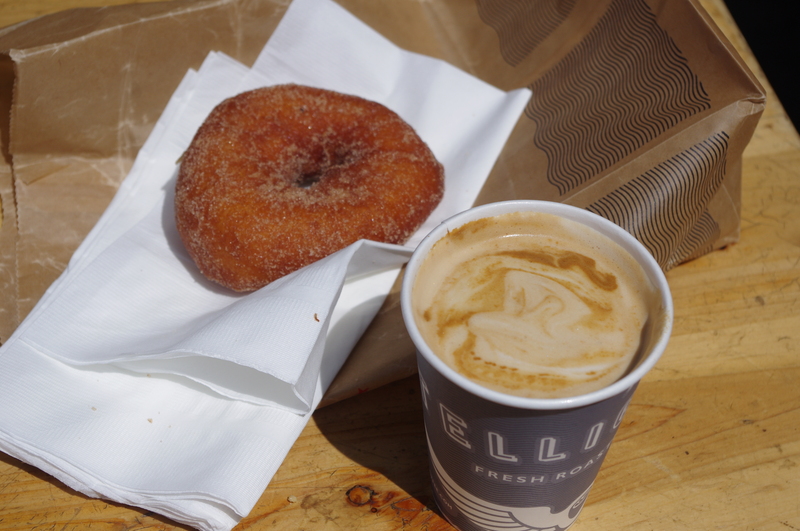 Once parked near Abbot Kinney Boulevard we made our way to Intelligentsia Coffee. 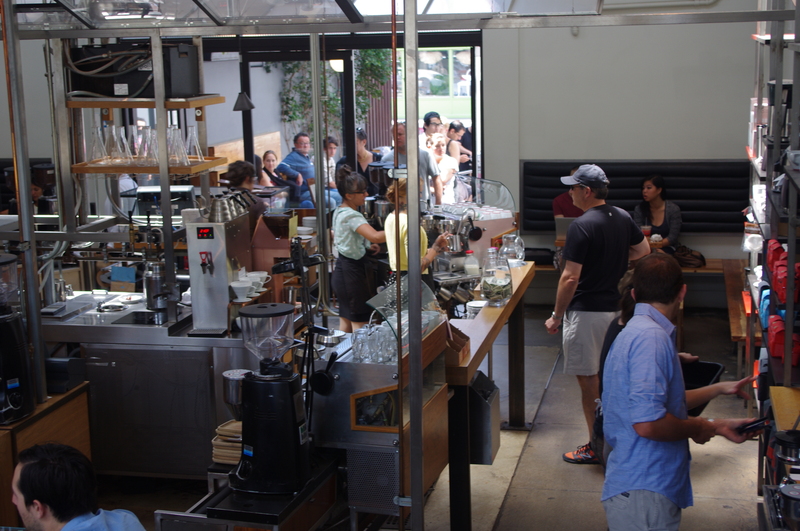 This coffee purveyor has several locations throughout Los Angeles and is considered to serve some of the best coffee in town. 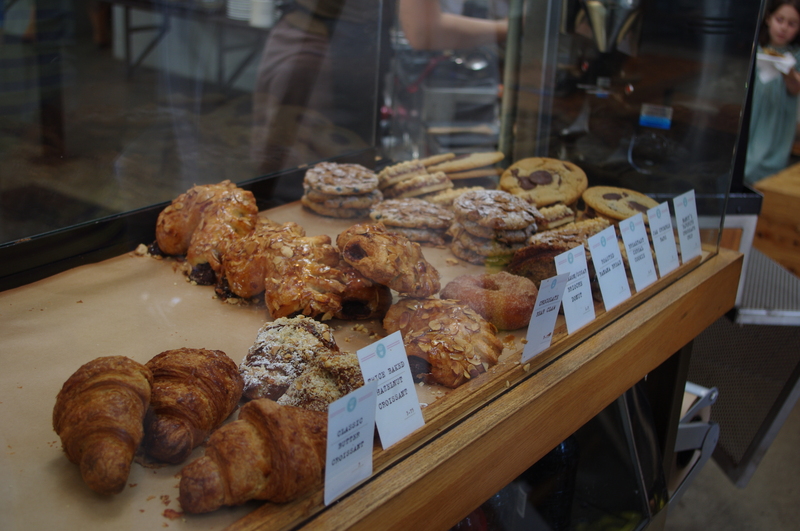 As you can see, the pastries are nothing to miss either! I really did have a donut. Baked of course, not fried! 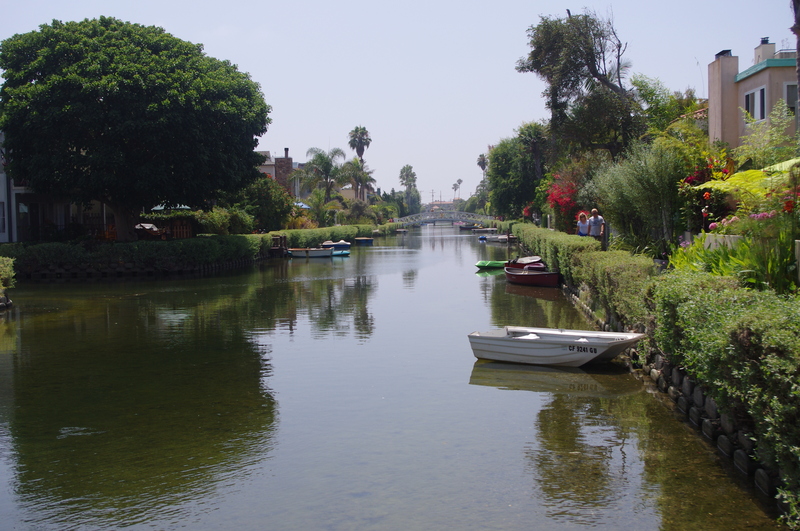 After our coffee break we headed to the Venice canals. Venice, CA was developed by a Abbot Kinney who had a vision to make this part of Los Angeles an artist community and a United States version of Venice, Italy. His attempts weren’t successful but the remains of his work can be enjoyed by strolling through the canals of the neighborhood which are full of beautiful foliage, ducks and gorgeous homes. 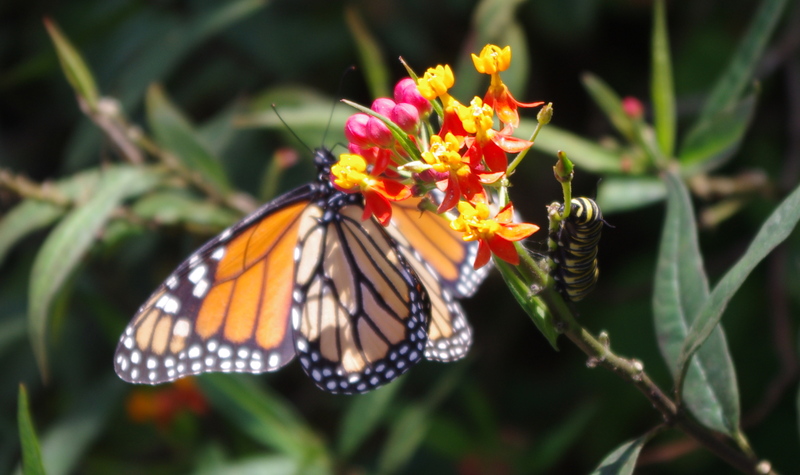 Monarch butterfly and a caterpillar too! 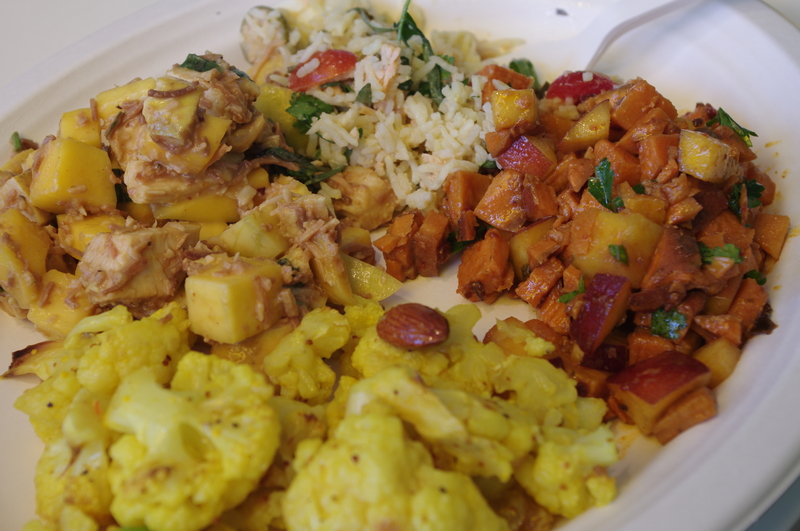 Then we refueled at one of our favorite casual restaurants, Lemonade. We usually frequent the Beverly Hills location but we lucked out finding a location right in the heart of Venice. Great flavored lemonades like Blueberry Mint Lemonade, dozens of fresh salads, soups, meats and a nice selection of homemade deserts. 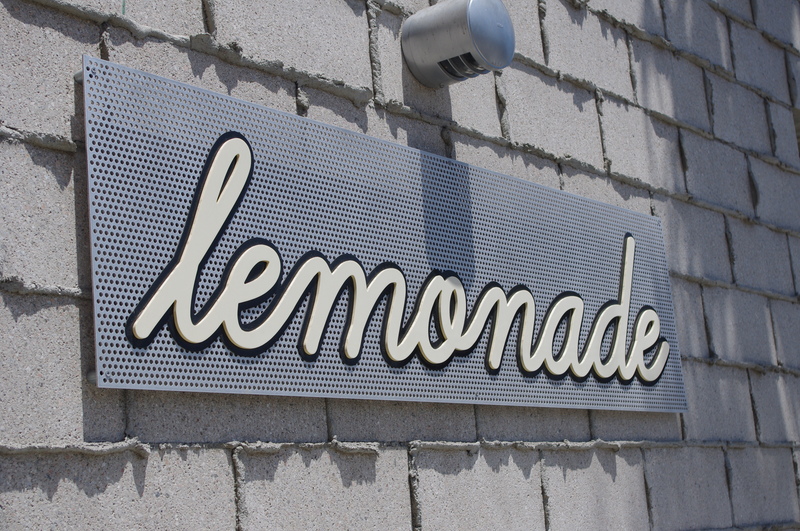 You will not be let down by a visit to Lemonade. Always good and lots of healthy options to watch the waistline too! We packed a lot into a 24-hour layover but I think that my Sister and her husband had a great time. If you visit LA or even if you live here, be sure to try out some of the spots that we visited and let me know what you think. Happy August! My Sister and me. Makes me smile.